A while back, I entered some of my photos into the Southern Tier Biennial Competition. This was the first time I have ever entered my art into any sort of juried art competition so it was an exciting learning experience to say the least. When I first stumbled on this competition, I toyed with the idea of even submitting anything for a long time. I was currently in the process of creating my first collection and showing any of it, especially to folks at home was scary. In New York City, I was allowed to be anonymous with my photography, I could post photos on Instagram or on my website to complete strangers and no one except those close to me knew what I was doing. Entering this competition would change all that. Olean is a small town, if I entered this competition and one of my photos was selected, people would know it was me. Well, as you can see from the first sentence, I ended up entering the competition and to my surprise, one of my photos was selected! I was no longer allowed to hide behind the anonymous curtain and to be honest, I don’t think I want to. I used to have this Imposter syndrome when it came to saying I was a photographer. In my hometown, I don’t think anyone has ever really known me as a photographer besides close friends and family. In high school I stayed pretty far away from the arts and was never known as an artsy type. To quote Art &Fear by David Bayley and Ted Orland, (which is a really great book by the way, I highly recommend it), ”Fear that you are not a real artist causes you to undervalue your work”, and I was tired of undervaluing my work that I was extremely proud of just because someone might not label me as an artist. 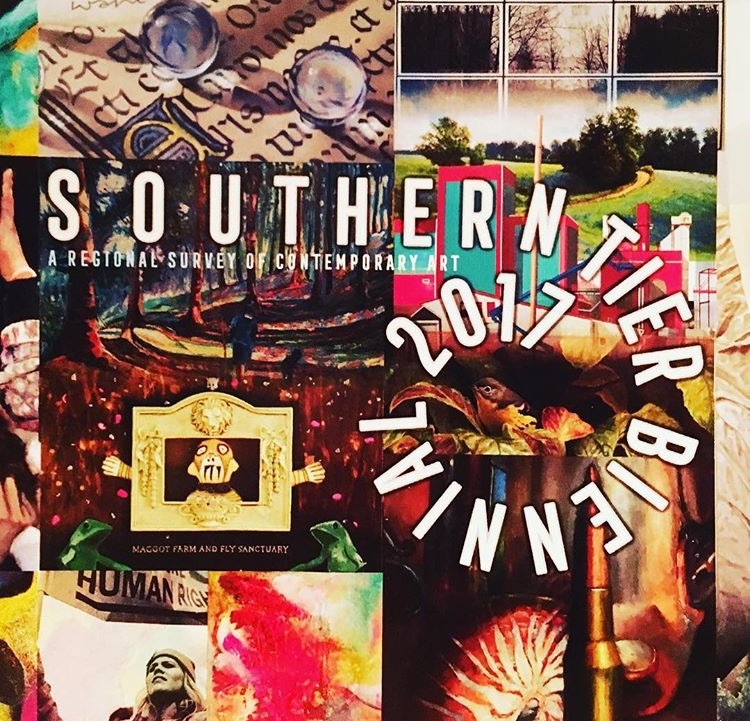 The Southern Tier Biennial Competition is my way of stepping out and saying, “I take photos and I think they are pretty good. Hopefully you will like them too”. I even had to create an artist statement and a short bio, so now I really feel legit. legit. (http://www.southerntierbiennial.com/proto.html) My end goal for this is to keep going, to keep taking photos and to soon have a small exhibit of my own that shows my first collection of Gelatin silver print, called Crowded Isolation. The Southern Tier Biennial Exhibit is now open at the Olean Public Library and JCC. My photo will be on display at the Olean Public Library until October 27th. The Ellis Island Hard Hat Tour has been on my NYC Bucket list for years. In April with a few of my close friends, I was finally able to go and it did not disappoint. Unfortunately, due to the fast pace nature of this tour and the need to always stay with the group I wasn’t able to shoot this experience in film. Below are some of the black and white digital photos I took while on this tour along with some interested things I learned while on the tour. You can view the rest of the collection by clicking here. It is estimated that 40% of all current U.S citizens can trace at least one ancestor to Ellis Island. During the peak period of Ellis Islands operations between 1900 and 1914, 5,000 to 10,00 passed through the immigration station each day. The ‘Passage of Immigrant Quota Act’ of 1921 ended the era of mass immigration to New York. I highly recommend this tour to anyone slightly interested and able. It is a 3 hour tour that will take you to certain areas of the Ellis Island Hospital, including infectious and contagious disease wards, kitchen, autopsy room and the laundry building. Make sure to wear close toed shoes! The tour will provide the hard hats. Let me know what you think! During the subway system construction the excess earth was placed at Ellis Island. The Island grew from 3.3 acres to 27.5 acres. Recently, I made the switch over to shooting film and that is where I plan to stay. I know what you are thinking, its 2017, everything is digital, why make the switch ? Reason 1 : I had been shooting digitally for over four years and though I have many photos that I am very proud of, I have way too many photos. Digital photography allows photographers to take countless photos in order to get the perfect shot. Film photography, on the other hand, does not allow for this and that is one of the things that drew me in. It forces you to slow down and plan your photos (you only get 35 per roll). It makes you think twice about everything, the subject, the light, etc. Whereas with digital photography, you can create over 100 images in a matter of minutes. Reason 2: Not having a manual setting on my film camera has forced me to re-learn what I know about photography basics and to build off this basic knowledge to get an in-depth understanding of photography. Reason 3: Sort of piggy backing off Reason 1: We live in a world of instant gratification that can be great, but it also creates this fast paced lifestyle that can be harmful to creativity. Film photography provides a way to slow down this instant gratification and it has produced extraordinary results. Reason 4: Did you know that around 6 billion photographs are uploaded to just Facebook every month. We are constantly saturated with tons of images on social media and other areas of our lives that it can be hard to find meaning in photos. For me, film photography provided a process for creating meaningful photos. Reason 5: I put a lot more work into my film photographs than I ever did with digital and this has given me more confidence in my photography. 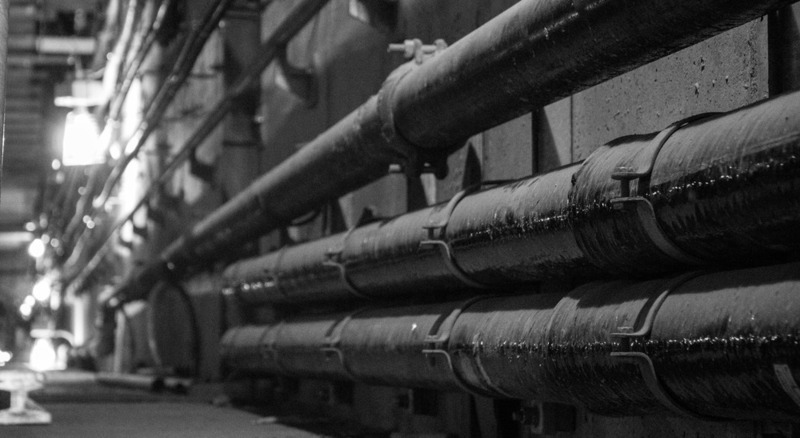 I now feel comfortable calling my finished black and white film pictures my art. Reason 6: Developing photos is a very personal process, everyone has their own ways. For me, it has become a form of meditation. Though I feel that both sides of the Film vs. Digital photography discussion have valid points, it is a personal preference of mine to stick with film photography. Don't get me wrong, I am not going to be getting rid of my digital camera any time soon, I am just shifting my focus for now. Note on my current focus: I am currently working on a film photography project called Crowded Isolation. Be on the lookout for more details! I still can't believe the NYC Marathon was two months ago. It feels like just yesterday I was getting ready to run my first half marathon. Now I can officially say I have ran 26.2 miles! Training for your first marathon can be exciting and scary all at the same time. I mean come on, 26.2 miles is a long drive. Leading up to the marathon, I read a ton of articles, spoke to a lot of folks, made a bunch of mistakes, and figured out a few tricks along the way. Below I have listed the training tips I gathered while training for the NYC Marathon. A lot of these pertain just to the NYC marathon (sorry about that), but a lot of them can help anyone who is a first time marathon runner! You can do it! - "If you believe in yourself, anything is possible". I never considered myself a long distance runner. Two years ago, running 3 miles seemed way too long and before that I could barely run at all. Trust me, there will be great days and there will also be not so great days, but in the end its all worth it! Chafing Cream - It never crossed my mind that I would need chafing cream until I ran my first long run. Let me tell you, one of the most painful things is showering after a long run when you didn’t use chafing cream. Open wounds + salt = not fun. 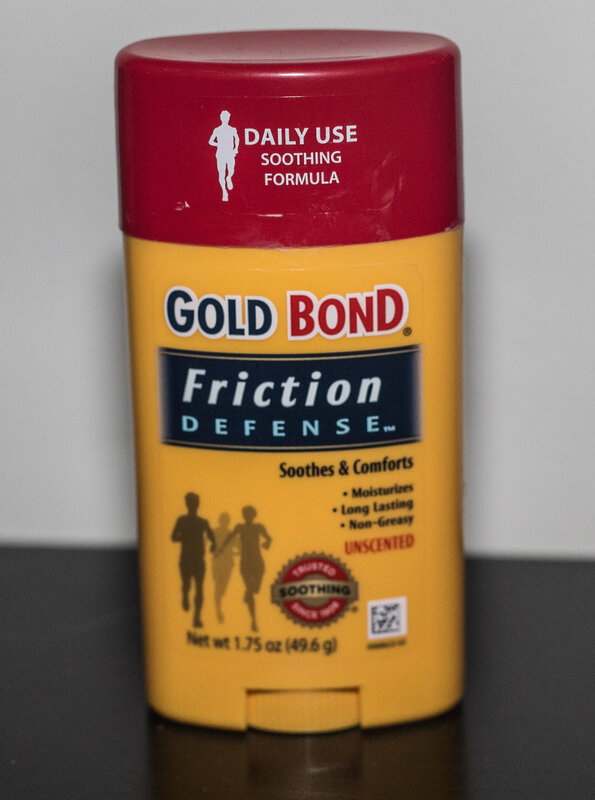 I ended up using Gold Bond Friction Stick. It worked great! The poncho - if you are a member of New York Road Runners (NYRR) you already get a ton of emails from them, and if you have signed up for the NYC Marathon you will get even more! I stopped reading them and missed the poncho sign up (they have a limited number of ponchos so if you don’t sign up early you will be put in bag check) so once you have signed up for the marathon be sure to open your NYRR emails and skim through them. Transportation - NYRR provides transportation to the start line. Don’t stress about what time you sign up for to take the ferry. I signed up for the 5:30 am slot and took the 7am ferry. No one checks ferry times, just make sure you allow yourself plenty of time to get there. 9 + 1 for training runs / Plan out your runs - The 9 +1 is how I got into the NYC Marathon in the first place, if you are a member of NYRR you run 9 races and volunteer for 1 and get automatic entry into the NYC Marathon for the next year. As I was planning out my training runs this year I tired to incorporate as many NYRR races as I could - the races keep training interesting and if you do 8 races(the marathon counts as one) you get automatic entry into the marathon for the next year! If you don’t want to run it next year you can always postpone. For planning out your runs, Hal Higdon (http://www.halhigdon.com/training/51135/marathon-training-guide) has a great site. This site also has a ton of tips for beginners. Keep yourself accountable -I find that if I have a big goal that I know I am going to have trouble with, telling a lot of people and writingeverything down is very helpful. I wrote down my marathon training planning months in advance so I knew what to expect every week. Once I was done with my run for the day I wrote down how many miles I ran, where I ran them and how I felt. This provides a sense of accomplishment and you can look back and see how far you have come! Set a routine - I am usually not a morning person, but I tried running in the am and found I really liked it. It wakes you up and gets you into a routine for race day. Make sure you have some sort of routine for race day so you know how much you usually eat for breakfast etc. Find some fun cross training- One of my friends got me into Pure Barre a while ago and I went to classes as form of cross training. Pure Barre utilizes the ballet barre to perform small isometric movements set to music. It is a lot of fun and I highly recommend trying it, but if that's not your cup of tea, lifting, swimming or cycling are good forms of cross training too! Either way definitely plan cross training into your marathon training plan, it works different muscles and helps change things up. Don’t over do it! Make sure you have at least one rest day a week where you don’t do anything. I usually scheduled them a day after my long runs as a reward. It is ok to take more than one day off. If you have an injury, rest, rest, rest! Trust me it helps! So there you have it, my marathon training tips! Now that you have taken a look please let me know what you think (this was my first marathon so I probably missed something). Just remember, it's a Marathon, not a Sprint. Training is going to take time and you will definitely have some bumps along the way, but in the end it will be worth it! Late last year, I got to go to a place that the majority of New Yorkers have not seen before and at the rate it’s going, might never see. The second avenue subway was originally purposed in 1919, but was never started due to the great depression. Construction finally began on the first phase back in 1970. This phase is 2 miles of tunnel and 3 stations. It will serve around 200,000 people daily and cost about 4.45 billion (Yes, billion) dollars. I know, it doesn’t sound like it will open in time, but give them a little credit; this is New York City’s first major subway expansion in 50 years. Phase 1 has taken a long time, a lot of money and caused a lot of headaches, but from what I saw it’s going to be sub-erb! I will be posting more photos from the subway soon! Thank you for taking a look! 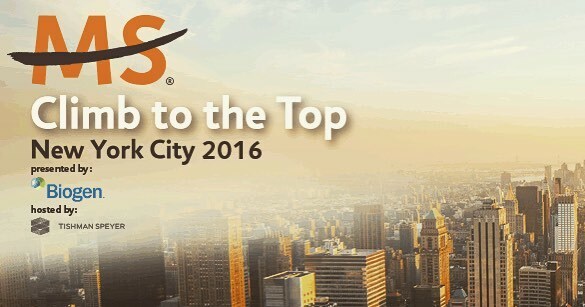 On February 28th, I will be joining 1,000 plus individuals in climbing 66 flights of stairs to the top of Rockefeller Center. Why, you might ask? Well, we are climbing as part of the Climb to the Top, an event that raises funds for the National MS Society to provide research for a cure and programs for those diagnosed. I have registered for round two, because I promised someone very close to me that I would do everything I could to help find a cure. Multiple Sclerosis, MS for short, is an unpredictable often disabling disease of the central nervous system that disrupts the flow of information within the brain, and between the brain and body. It affects more than 2.3 million people worldwide and is two to three times more common in women than in men. Most people diagnosed with MS are between the ages of 20 and 50. What is MS to me? Scary, the progress, severity and specific symptoms of MS in any one person cannot be predicted. This means that if you are diagnosed, things such as medicine and treatment plans cannot be predicted either. Imagine that, you are diagnosed with something and you have to go on a “trial and error” process to find the right medicine. Even worse some diagnosed with MS never find a medicine that works or find one but can only be on it for so many months because of other health complications it causes. Many who have MS simply can't make anyone else understand exactly what they are feeling and what they are going through. How walking across the street can be dangerously slow and also painful, how daily tasks that they were once able to do with ease make them extremely tired. I do not have MS, but someone close to me does. I have also had the pleasure of meeting other individuals who have MS and they are some of the strongest people I have ever met. $1000 – Could provide two consultations with a MS Navigator for nearly 30 people living with MS. I understand that lots of people can’t donate or have donated to so many other causes. If that’s the case I just ask that you please visit the National MS Society page. They currently have an educational series called Knowledge is Power (KIP) that I urge you to check out to find out more and spread the word. Thank you for reading and be on the lookout for photos from the Top of Rock! Recently, I was walking around my old neighborhood, the Upper West side, on my way to the Elinor Bunin Munroe Film Center for a photography class. As I walked I reflected on how much has changed in the past couple of months and how I could have lived so close to this film center and never known about it. From what my professor has told us about today’s class this center sounded exciting and I was bummed that I had never visited it before today, especially when I use to live only 5 minutes away. One of the reasons this center sounded so exciting was because it was home to a 20x24 Polaroid camera, a camera that I was lucky enough to get to work with. I told the woman who was standing at the door that I was there for the photography class and she directed me to the second door on the left. As I opened the heavy door, I was greeted with a slight smell of chemicals. I looked along the walls and saw large photos of different celebrities hung on the wall and as my eyes scanned the room I spotted it… the 20x24 Polaroid camera. Around 6:30pm, once the rest of my fellow classmates had found the room, my professor announced that today we would each be using the Polaroid Camera. Wait, what? I would get to take a photo on a camera I couldn’t stop taking pictures of? The sitter would get to keep the photo of him/herself AND we would only be able to do this once because the film is so expensive!?! ? No pressure. The instructor, the owner or the camera and his assistant, started demonstrating how the camera worked. They then did a few test shots of each other to make sure the settings were correct. The class partnered up and began taking their single shots of each other. Flash, wait, peel, flash, wait, peel, and on it went until it was my partner and I's turn. We had previously discussed what we wanted our individual photo to look like and I had warned her about my tendency to blink whenever flash was involved, but it was our turn. There was no more putting it off. I lined up my sitter how I wanted her to show up on the page. This was done by moving the large camera back and forth until she was in position. (This was all while looking at her upside down) When the back door to the camera was closed, I went to the front and was handed a cord with a button on the end. We talked for a minute then …. Click! With the weather being so nice here in the city, I have been feeling pretty nostalgic . Don’t get me wrong, I am not looking forward to winter and having to walk everywhere in the cold. I am feeling nostalgic because music festival season is over and I miss them already! Listening to Chvches this morning, I am brought back to the first ever Landmark Music festival. I got to see The Lone Bellow, Chvches, Drake, Wale and many more for the first time at the West Potomac Park. Overall, I would say the music festival was a success. They had a great lineup, the location was amazing and the weather was perfect! For the price of what it cost to go to Governors Ball for one day, I went to a two day music festival with some of the same lineup. Out of all the people performing, I would have to say that my top two groups that I got to see were Chvches and The Lone Bellow. Chvches, spelled with a V instead of a U (which I still manage to misspell all the time) is one of my favorite bands. They came out with a new album called "Every Open Eye" the Friday before Landmark and I listened to it the entire train ride to DC. So many times that when they performed on Sunday, I knew all the words. Singer, Lauren Mayberry, had one of the best performances I had ever seen! She had a stage presence that matched her amazing voice, which made it so much fun to dance and sing along to. In past performances, you wouldn’t have seen her move around much, which is different for Electro-pop bands, but that Sunday she never stood still. It was great because the album is so good that it deserves to have someone make the performance gold (listen to the album and you'll understand). CHVCHES at Landmark Music Festival ! The Lone Bellow, a very, very different type of band from Chvches ( they label themselves as Brooklyn Country Music) was equally as good! Before I go into their performance, let me pause and give you a little back story on the band. The band was started by Zach Williams as a way to cope with his wife's horrible horseback ridding accident that left her temporarily paralyzed from the neck down. While hoping and waiting for her recovery, he began writing. His wife recovered and now this great band exist! Trust me when I tell you, you can hear/feel, the emotion, hope, and tragedy in the songs. (Listen to their song: Green Eyes and a Heart of Gold and you'll get it). OK, back to their show at Landmark. First, they were great sports because Wale wouldn’t get off stage so they couldn’t start. They ended up starting late, but were worth the wait! They had this live sound that was so authentic and harmonious it was hard not to leave the show happy. So now you see why I miss Landmark Music festival. I have been listening to Chvches and The Lone Bellow constantly, but its not the same as their live shows. Music festivals allow you to see great concerts back to back and Landmark was no exception! Can't wait till next year! The first time I saw Catfish and the Bottleman, a four person band from North Wales, was in NYC in 2014 during the Governors Ball Music Festival. As I was walking toward the stage, I could hear the lead singer Van McCann’s unique voice singing one of the band’s only songs at the time and I thought to myself, how have these guys been playing for so long and don’t have an album out yet?! As I got closer I realized the band looked to have an average age of about 16. The second time was also in 2014 at Bonaroo. Both performances felt like they guys were in a sort of middle school phase. You know that phase in your life where you are a little awkward and still getting the hang of things. They just seemed nervous and not all that comfortable with themselves. Last night at terminal 5 was a different story. Don’t get me wrong, I have always thought these guys were really talented. Just weren’t too comfortable with themselves on stage. Maybe it’s the whole "third times a charm" thing, but last night was by far the best performances I have seen of Catfish and the Bottleman. It almost felt like a new band. They are all grown up! First, the opening act Jamie N Commons was a great warm up. His song Jungle will be in my head for weeks. Catfish and the Bottleman came on with such amazing energy it was hard to not dance the entire time. That awkwardness I had seen just last year was completely gone. Overall, I would say Catfish and the Bottleman are now in that High school phase, they know a lot more about who they are and where they want to go. They seem much more confident and have that high school senior attitude of knowing they are all set for college. College for these guys will be when they make it big in the states and at the rate they are going that will come soon. Their shows are already sold out in the UK and before you know it will be in over here too. Everyone I have taken to see them ends up loving them and usually making a comment along the lines of “these guys are going to be big”. I bet their next album will be what pushes them to the top in the US. So…. what you should do if you haven't already is listen to Catfish and the Bottleman!!! Ps. According to this article the lead singer is 22! Updated Blog & Ellicottville Fall Fest! The Ellicottville Fall Festival was this weekend or as my friends and I like to call it the "classy Italian Fest". Ellicottville is home to Holiday Valley were I spend many Thursday nights skiing. During the summer/fall is it a golf course and during Fall Festival it is a great place to see the leaves change and drink :). We look very very similar so when showing the photos in class I had to explain that I was not taking Self Portraits. The photo to the right is my favorite photo from the weekend ! Side note: Proto's Photos now has a Pinterest account! Click on the P at the bottom right of the page to check it out. I just recently discovered that Cuba is a Roman word that means Goddess or Protector of the Young. I also found out that Cuba Lake in 1858 was the largest man-made lake ever constructed. Thank you Google! Last weekend, I found a photo of what the lake looked like in 1908. The two story house in the center of this photo has since been knocked down and a brick house has been built in its place. It had been a hard/sad couple of days so on Sunday I went for a walk on the Hudson River Greenway to get some fresh air. Though my fingers were a little numb by the end, these are some of my favorite pictures from the walk. Added some photos to Random of New York City during Christmas time (minus all the people). Hope you have a great holiday! I created a temporary page called Class this morning. This page contains my final collection for my first photography class. Let me know what you think. Below are some of my favorite pictures from that collection. Sorry, I know some of them are repeats. Like most people who live in New York City I am not actually from the city, I am grew up in upstate New York so when people ask if I am from New York I still say yes! (Even though they mean NYC). I have created a new page called Home. It has a collection of photos taken while I am.. you guess it at home. This post has a couple of my favorites from the page. Let me know what you think! This post is dedicated to Elijah (aka Micah). He is a very good friend of mine who encouraged me to learn photography and even agreed to be my first model. I have learned so much from him and know I will learn more! Since it's throw back Thursday, I thought I would post two of my favorite photos from a hot air balloon ride I took in Cappadocia ,Turkey 3 years ago. Both photos were taken with my point and shoot camera and will be part of a Travel section I am currently working on for this site. So I thought my first post should be a flashback photo from my backpacking days. A lot of my flashback photos are from my point and shoot camera which never left my side while backpacking. 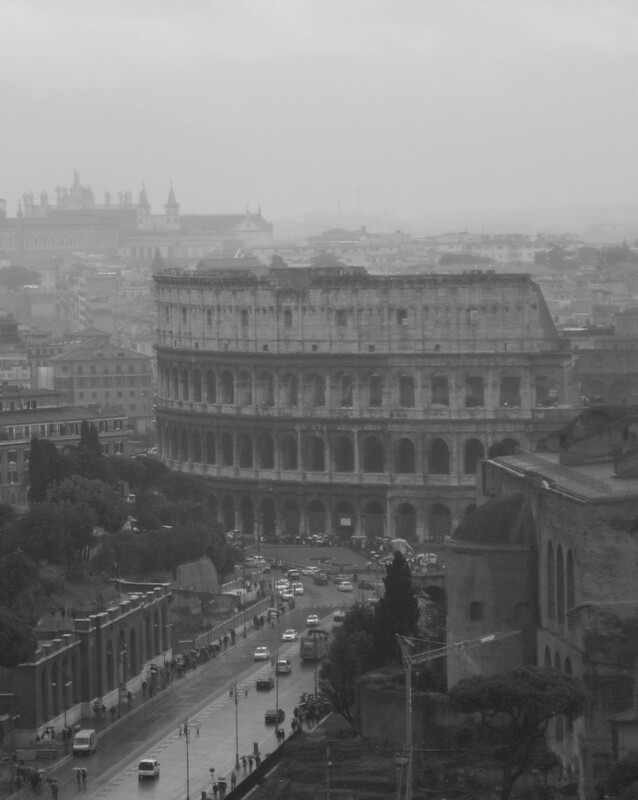 This photo is in Rome on a rainy day and converted to black and white. Let me know what you think and HAPPY Friday!